THANKS TO OUR MANY VOLUNTEERS WHO DEDICATE THEIR TIME AND RESOURCES TO HELP PUT ON THIS NATIONAL EVENT. WE WOULD NOT BE ABLE TO PERFORM THE MECHANICS OF SUCH AN EVENT WITHOUT THEIR SELFLESS EFFORTS! 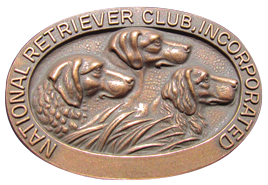 THANKS TO CONTRIBUTING YOUR TIME TO THE RETRIEVER SPORT!!! Hats off to the volunteers. Where would you be with out this valuable support and effort! That goes for all our retriever events! We appreciate all their hard work and the sleepless nights they endure! Keep up the good work guys, we are on the home stretch with only a few more Series to run!